The Bisti Badlands of North Western New Mexico are six and two-tenths square miles of sculpted heaven with a little splash of hell. 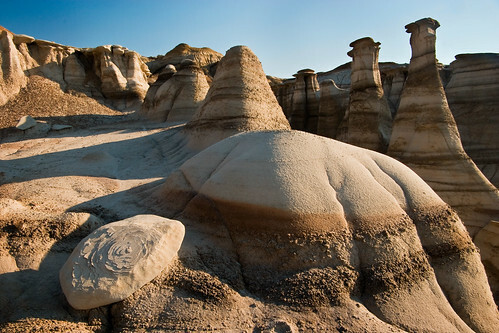 The Bisti is a designated wilderness area administered by the Bureau of Land Management (BLM). The word Bisti is a Navajo word meaning badlands. The natural formations seen throughout the Bisti are called "hoodoos".